It was back in 2008 that Hollywood actor Robert Downey Jr. starred in the “Iron Man” — the movie that got the Marvel Cinematic Universe (MCU) rolling. He might not return to MCU after their forthcoming film “Avengers: Endgame“, but all he has to say is “don’t give up, keep going”. Sporting a black suit with chic boots, RDJ hit the stage here on Monday along with his “Avengers: Endgame” co-stars Brie Larson and Jeremy Renner as well as directors Joe and Anthony Russo and Marvel Studios President Kevin Feige amidst thousands of young fans dressed up as Marvel superheroes like Iron Man and Captain America. 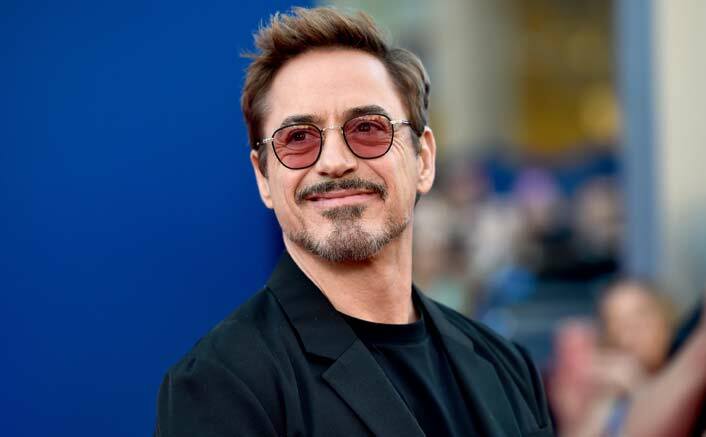 Avengers: Endgame: I’ll Be Trying To Steal Your Popcorn (As You Watch The Film) Says Robert Downey Jr“This is nuts,” Downey Jr. said looking at his admirers. Ahead of the event, fans in Seoul were asked to write down what they would like to hear from the Avengers team. The three actors picked one message each and read out on Monday. This made many people emotional as it comes amidst rumours about his exit from MCU. Downey Jr. also joked about going around various Korean theatres in disguise after the film hits the screens later this month. Nick Jonas & Priyanka Chopra’s Wedding Ran Short Of Beer – Here’s Why! “You will see me out there. I’ll be trying to steal your popcorn,” he said. But after the fans thanked the team by putting up “A” glow sticks together, he and the others got emotional. Larson, who looked no less than a Barbie in a sleeveless figure-hugging blue gown with pink ruffle at the hem, got all teary-eyed. For a thank you video, thousands of fans had even submitted videos of them in the superheroes’ costumes or enacting scenes from their movies or playing the theme song. “I know that most of you were young when the first time we came here, and now I see you all growing up into fine men and women. I just want to say I am proud of you and I am very grateful,” the 54-year-old star said. “Avengers: Endgame“, the 22nd film of MCU, will be the end of an era that revolved around Iron Man, the Hulk and Captain America, among others. The post Avengers: Endgame: I’ll Be Trying To Steal Your Popcorn (As You Watch The Film) Says Robert Downey Jr appeared first on Koimoi. Avengers: Endgame VS Kalank At The Box Office – Who Will Rule April? Avengers: Endgame Makers Trying Their Best To Avoid Spoilers! Avengers: Endgame Co-Director LOVED This Salman Khan Film!